Today at Computex, Microsoft demonstrated HP’s Cortana speaker. Earlier this month, the company revealed that HP is planning to build a Cortana-powered speaker. 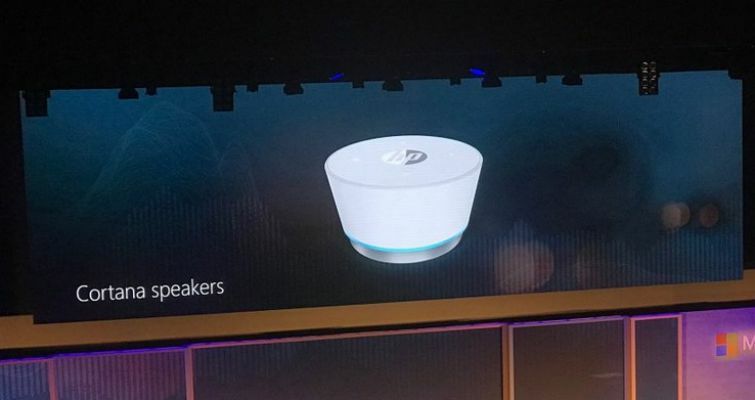 Before you get excited, HP is taking a different approach for its digital assistant speaker. HP’s Cortana speaker or what Microsoft described it as HP’s “digital assistant” is a small puck-like speaker that attaches to a Windows 10 PC and runs Cortana. HP hasn’t provided actual hardware at Computex, but Microsoft demonstrated what is a “visual representation” of the device. The new HP speaker needs to attach to a Windows 10 PC to work. It appears that HP is creating this hardware as a companion to its range of Windows 10 PCs, rather than a full Cortana speaker. Those hoping for a separate HP speaker, like Harman Kardon’s Evoke, will be disappointed. Currently, there is no release date or pricing for HP’s digital assistant hardware.